Measuring 174cm, Vitoria Setubal's average player height succumbs Andre Sousa by 7cm. Back in 2017, Portuguese midfielder Andre Sousa's contract with Vitoria Setubal (Portugal), the club he is still a member of, took effect. Since he came into world in 1998, to be more precise February 26th, the midfielder is five years younger than Vitoria Setubal's average player. Until now, he has been present in twelve games. Andre Sousa is a left footer just as 18% of Vitoria Setubal. 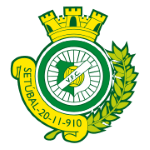 These days, his team Vitoria Setubal comes third place in group Gr. B of League Cup (Portugal) plus 13th place in Primeira Liga (Portugal). Vitoria Setubal's jersey number 16 is Andre Sousa. The Primeira Liga 18/19 season was quite difficult for Andre Sousa, as he ended up reaching his personal lows in terms of the number of received cardsthe small amount of shot goals,. Altogether, he was substituted in 9 and out 5 times. Currently, he entered the pit more than he left it which holds true for last season as well. Weighing 147.71lb, he measures 16lb less than the average player on Vitoria Setubal. From his professional start until now, Andre Sousa has performed in 26 matches in total and hindermost appeared nine days ago. He is a one-club-player, as Vitoria Setubal is his first and only place where he has played as pro. In terms of winning, his team was able to do so in none of League Cup's and in only 20% of Primeira Liga's matches. Andre Sousa completes Vitoria Setubal's intermediate department, alongside players like Mikel Agu, Andre Pedrosa, Tomas Azevedo, Jose Semedo, Savio Roberto, Nuno Valente, Luis Cortez, Ruben Micael, Eber Bessa, Ibrahima Sory, Kgaogelo Rathete Sekgota and Tiago Castro. Merely six times a card was given to him in his tenure.